Leeds United winger Jack Harrison celebrates at Elland Road. Leeds United secured a vital 1-0 victory over Sheffield Wednesday on Saturday evening at Elland Road - but what were some of the talking points? The Whites were hit with a major blow in the warm-up ahead of kick-off as Liam Cooper pulled up with a muscle injury. United's skipper has played a crucial role in the heart of defence this season and has led from the back in Bielsa's attacking play. The Argentine confirmed afterwards that Cooper took himself out of the fixture choosing instead to preserve himself rather than forcing an issue which could've resulted in a longer lay-off with just four games to go. Leeds believe it is only a minor problem. The injury to Cooper left the door open for Gaetano Berardi to step in. United's lovable but crazed defender opted not to have season-ending surgery in October and it paid off for the Whites as he kept Steven Fletcher quiet. It was the 30-year-old's first appearance since the 2-0 victory over Ipswich Town at Elland Road six months ago. Despite looking a tad off the pace at times he slowly worked his way into the game and ensured United weren't rocked by the loss of their captain at the back. Well done on short notice, Berra. Leeds United fans were left cursing Keiran Westwood's name and not for the first time. The Wednesday stopper was in fine form during the first half of the fixture as he pulled off three brilliant saves to keep his side in the game. His performance in the opening 45 minutes evoked memories of his stunning showing for Carlisle United at Elland Road in 2008. That day the visitors left with a 2-1 victory during the first leg of the League One play-off semi-final. It was to be a different result this time, though, as United finally broke the deadlock in the 65th minute to earn all three points. 'No Pablo, no party' is the saying round these parts... and once again the Spaniard delivered the goods. There were a number of brilliant performances from Bielsa's men but it was the 34-year-old again who provided the much-needed spark. 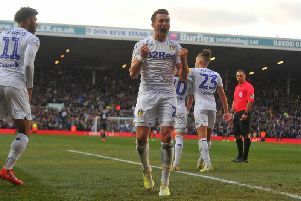 His pinpoint low ball into the box for Jack Harrison was the key to unlocking Wednesday's defence as his fellow winger flicked the ball home into the bottom corner of the net to set Elland Road alight. That's 12 goals AND 12 assists now this season - simply incredible. It felt like a big day in the race for promotion. Sheffield United kicked off earlier in the afternoon and were held late by Millwall as drama unfolded at Bramall Lane. Lions defender Jake Cooper struck in the 95th minute of the fixture following Ben Marshall's missed penalty for the Londoners just four minutes before the end of normal time. The draw opened the door for United to extend their lead in second place with Blades also suffering injuries to Billy Sharp and Chris Basham while defender John Egan saw red. 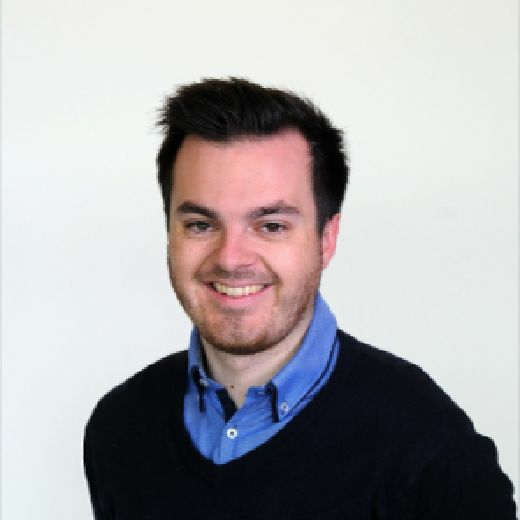 Leeds made the most of their Yorkshire rivals struggles with Bielsa's men now holding a three-point advantage over Chris Wilder's side who sit third behind the Whites with just four matchdays to go. Norwich are leading the way in the Championship, but they will look to restore their six-point lead over United on Sunday lunchtime at Wigan.